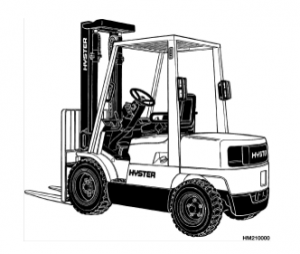 Hyster H50XM Forklift Service Manual is what you need to repair a Hyster Challenger series – H50XM, H45XM, H50XM, H55XM, H60XM, H65XM. Do you or your colleagues need help finding a specific lift truck manual that has been hard to find? You can email us as we will look through the thousands of resources we have to locate the make and model of forklift manual that you need. You can email us at [email protected] and we will send you a helpful response with any links or information we can find on the manual you have asked about.